Another photo taken with my iPhone – it is becoming a habit. This old sign is down the street and have stood next to it a number of times as I go meet my kids to wave at them as the bus goes by. I have included the original, prior to editing below, so you can see it is already old and weathered and then post editing look, which enhanced it. 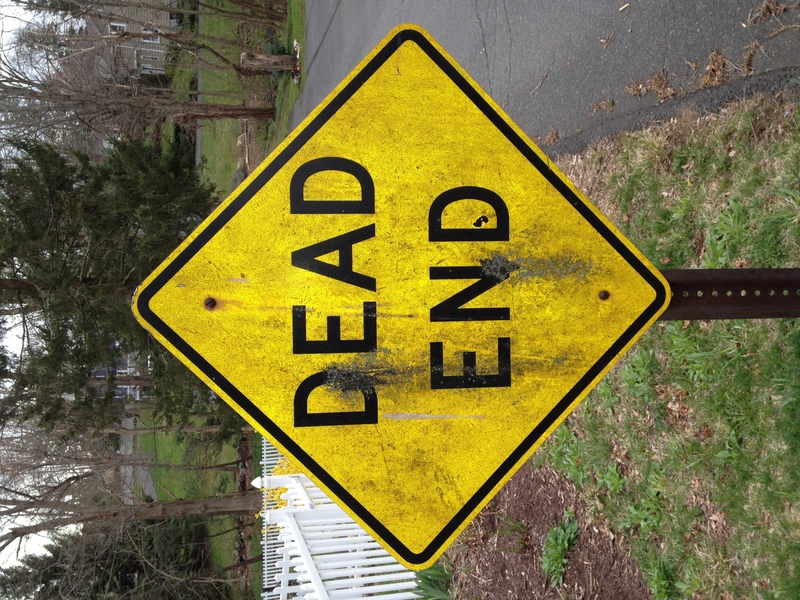 You know this sign saying dead end can be applicable to us in our lives. So often we come to some sort of dead end in our live. It may be a new business we launch, a relationship or whatever. When things don’t work out, we try even harder to do make it work and then we get into this sort of spiral where we try harder and harder, get more and more despondent, desperate, stressed and quite often then turn the sights on ourselves and say ‘What is wrong with me – why can’t I do this or make it work”. Which means we are indirectly blaming ourselves, making ourselves feel guilty or enjoying a little self pity. Quite often we would save ourselves much pain and anguish if we just lookup and see the signs, read it and say OK. You know what? This business venture didn’t work out, this relationship didn’t work out. I am OK with that and have been guided to this point for a reason. I won’t try force the situation. I will take my lessons, thank God / universe / stars (or whatever you believe in) and move on with those lessons which will mean I am better equipped for the next part of my journey. 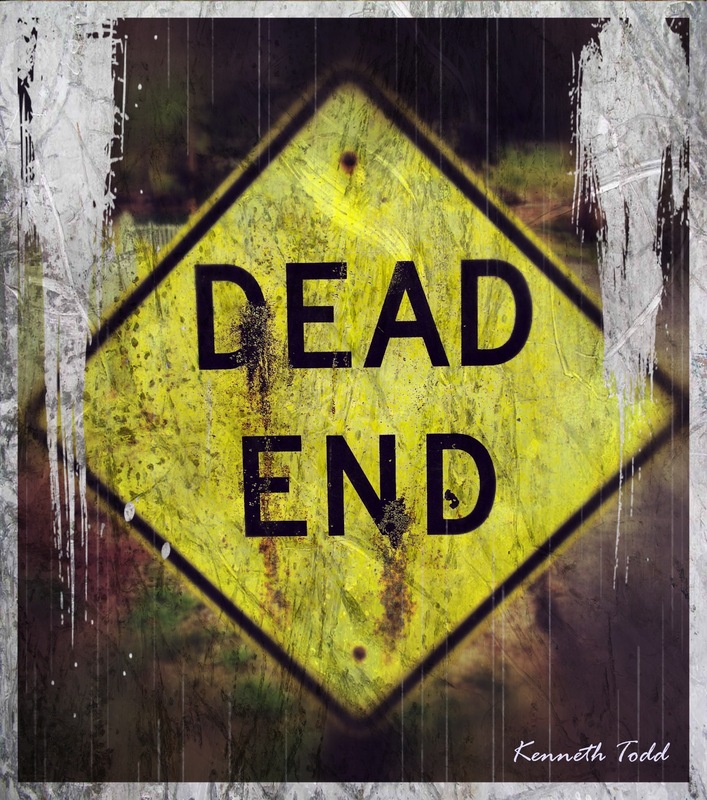 So if you are at that dead end, try that – it may work for you. Enjoy. If you want to learn how I edit these images, sign up suing the tutorial link at top of my page. I send these out once a month. We tend to focus on the closed doors and dead ends instead f looking out for what is open and welcoming ! I love how you take such a simple picture and make it so complex and detailed with descriptions. Keep up the great work!! The hardest thing in life is to let go but mastering it is one of the most useful things you can learn …we can be sure that there will be change in life.. change, death and taxes ! we should embrace all 3…well maybe not the taxes !